I used to have a perfect life! The world around my family and I was so full of beauty, hope, and everything I had dreamt of was finally becoming my reality. 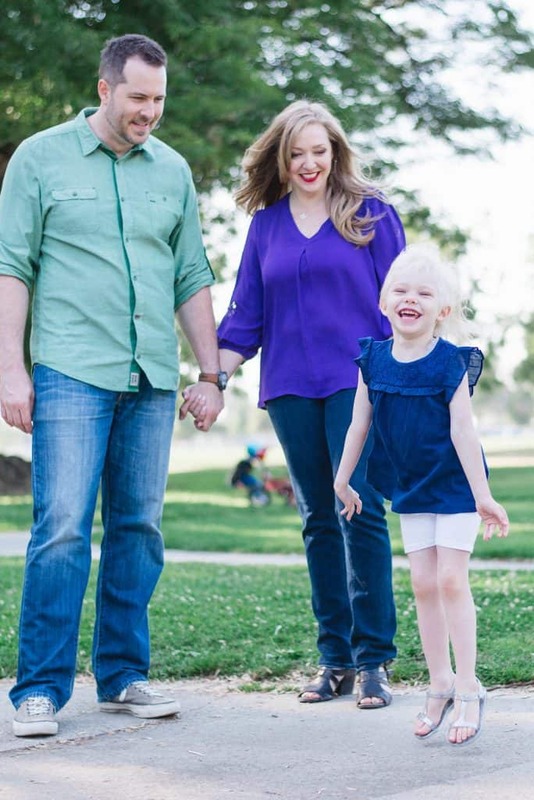 When Sophie came into this world, it was as if the last puzzle piece had finally been placed. She was everything I had ever dreamt of, and so much more. Her perfectly round cheeks and her beautiful blue eyes, all the way down to her hair that would shine like strands of spun gold in the sunlight…she was mine and her father’s vision of true perfection. We felt invincible! We felt like nothing could stop us, and the world was truly our oyster. What we didn’t realize was that while this joy was swarming around us with the birth of our sweet girl, a beast was lurking just beyond our sight. In our beautiful baby’s brain, a rare tumor was growing and evolving, just waiting to rear its ugly head and steal our perfect lives from us. One warm summer day I realized that Sophie’s left eye was shaking, which is called nystagmus1. We took her in to be seen by her pediatrician, and after a string of doctors’ visits over three consecutive days, Sophie was in an MRI scanner by Friday of the same week. On June 23rd, 2013 our phone rang on a quiet Sunday afternoon from an unknown number. It was our daughter’s pediatrician that had called to let us know that our world was about to change forever. The MRI she had the day before revealed a very rare tumor in my tiny baby’s brain called an Optic Pathway Glioma2. We were to appear the very next day at the pediatric oncology ward at her hospital. He explained to us that this tumor had a 90% survival rate, but an 80 to 85% recurrence rate. He also explained that the only option for our precious little girl was chemotherapy. Chemo was only meant to arrest the development of the tumor, and the tumor would never, in fact, go away. I always say that cannabis found us and not the other way around, and that truly is the case. Through a serendipitous chain of events on social media, we found ourselves in the presence of a celebrity I had long admired, Ricki Lake of film and television. She and her producing partner, Abby Epstein, were introduced to us, as they had just started a documentary only six months before using cannabis for pediatric cancer. We were shocked when we saw the research they presented us with. How could something with so much medical evidence behind it still be illegal? Four years ago when our journey began, there wasn’t even public conversation happening around this plant yet. Little did we know how all of that was about to change! Regardless of the state in which this plant was viewed at the current time, we trusted these women, and we trusted the research we were presented with. We took in a folder full of clinical research to Sophie’s doctors that Ricki and Abby had sent us showing that cannabis oil was killing glioma cells in preclinical mice3. We consulted with Sophie’s doctors and got their blessing to try the oils. At nine months old Sophie took her very first dose of cannabis oil on camera for Ricki and Abby’s documentary called Weed the People – to be released later this year. We are now in year four of Sophie’s journey battling her beast. She has had her ups and downs, and we have absolutely, as a family, had ours. We have overcome near homelessness, tens of thousands of dollars in debt, two recurrences, dozens of hospital stays, brain surgery, more MRIs then we can count, nine blood transfusions, Staph infection, and seizures that have been mild in nature, except for the one that lasted a full, gut-wrenching hour. But the miracles we have seen in our child far outweigh the devastation this tumor has taken on her. We have heard the words “medical miracle” so many times now we lose track of the actual number of times it has been said. We kept her from going blind, which was a sentence they served up so easily when she was first diagnosed. We shrank the tumor not just once, but after every recurrence, she’s had, and this is a tumor that we were told up front wouldn’t likely shrink at all. After nine blood transfusions, she just stopped needing them all together; this was four months before she got off her first 13-month protocol of chemotherapy. Your body’s bone marrow is unable to repair itself like this when being taxed by weekly chemo infusions. A miracle her doctors happily attributed to her cannabis use alone. And the list of miracles goes on, and on, and on, and on. This plant wasn’t just helping her eat and sleep, and mitigate much of the pain inflicted by her weekly treatments; it was saving her from a life that could’ve easily been stolen by her beast. Once the initial shock subsided, and we started to see all the beauty that this plant had brought into our lives, we realized what challenges we had to endure just to get to where we were with our understanding of this plant. We looked at the cannabis landscape, and we realized that there was a vacuum in the marketplace for medicines that were crafted for patients, especially children. We also realized there wasn’t a lot of dosing support available, and people were trying to figure this out on their own, sometimes enduring great failures and intense bouts of psychoactivity due to improper dosing they were getting on social media. We decided to make it our mission to remedy this issue. In 2014 CannaKids & SavingSophie.org, our 501c3 non-profit, were born. We worked for hand in hand with Dr. Bonni Goldstein and Dr. Jeffrey Raber to help us formulate our patient-focused line of cannabis oil medicines for CannaKids, with a focus on cancer and epilepsy. We took a hard look at telephone profiles4 and how they can support healing. In the last two years, we have continued to evolve our offering of custom blends to include additional issues like ADD, ADHD, Autism, severe pain, and sleeplessness, with the knowledge that these same blends can, in fact, help many more issues. The relief that we have seen in our patients has been nothing short of amazing! After experiencing the many miracles I had been so incredibly blessed to witness, I thought to myself, “What’s next? !” What I realized deeply after many conversations, and after immersing myself in research, is that we are all still really guessing when it comes to dosing and strain profile use. In 2015, I was introduced to Professor Dedi Meiri5 from the Technion Institute of Technology in Israel by Abby Epstein from our Weed the People documentary. Dedi was described to me as being one of the foremost leading researchers in cannabinoid treatments for cancer6. I was elated to make his acquaintance, and solicit his help with my daughter. What was to unfold next was something beyond even my greatest dreams and expectations. When Dedi and I began our friendship on our “get to know you” call, he realized that I wasn’t just a mom looking for help. I educated him about the data we had been tracking and how meticulous we had been in doing such. When he asked if he could have it, my immediate answer was “ABSOLUTELY!” For me, it has always been about the patients, and what better way to help them faster than by sharing our findings for his research. When I got the guts to ask him for help with Sophie, he was happy to return the favor. I hand delivered Sophie’s very last sample of cells from her tumor biopsy surgery from when she was one year old in hopes that they could help me find a solution for her tumor. I traveled the world with a tiny brown box, on a 17-hour flight with my dear friend Autumn, in hopes to find healing for Sophie in the holiest of lands. This was a trip that would forever change my life, for it was on this trip that Dedi asked me to be his partner. When I returned to the U.S., I knew I had a lot of work to do to secure a partnership with Dedi and his team officially. 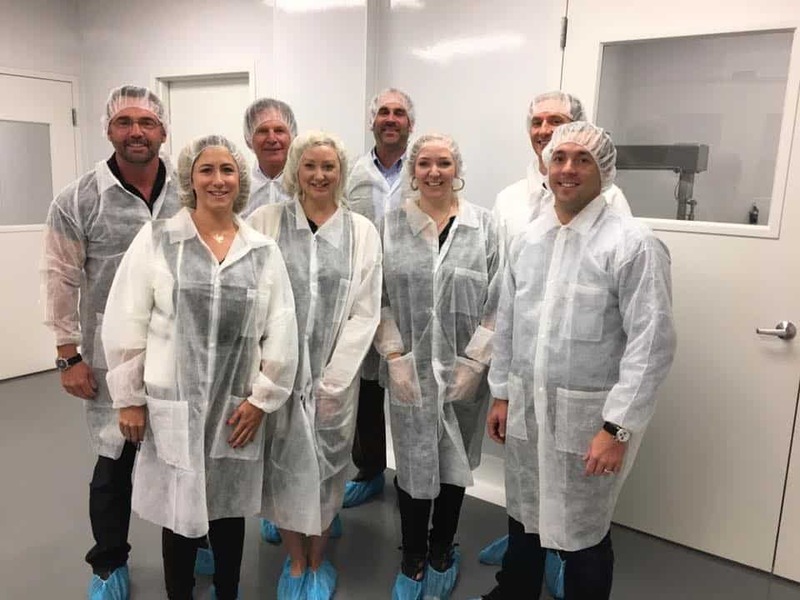 I was introduced to Rob Davidson at CURE Pharmaceutical, and it was in that first meeting that Rob and I knew we wanted to stay connected and try to work together. We began a wonderful relationship through our shared love for children, and our innate desires to help those that are suffering. Rob and his team had built CURE’s FDA, and DEA licensed pharmaceutical lab so that they could produce a patented oral thin film (OTF) technology. They invented the OTFs to help dying children in third world countries who were dying of Malaria due to the absence of clean drinking water required to mix their malaria powders in. As my relationship evolved with both men, it was clear that together we would make an amazing team! And with that, Rob convinced his board to fund Dedi’s next four years of cancer research. Just weeks after we have made our official announcement that CannaKids and CURE have officially partnered with Technion, I sit here writing this article still pinching myself in disbelief as to how far we have come in just four short years. Sophie is thriving, and the healthiest she has ever been. She’ll start school in the fall, and just performed in her very first dance recital. I have been traveling the world, speaking at conferences, and sharing our stories of survival to anyone who will listen. The research findings that Dedi and his team are making gives me so much hope for a better and more effective way of treating cancer, with hospitals waiting in the wings for us to start human trials. And best of all, his team is working on a formulation for my sweet, sweet girl. Life could have been very different for us, and for our patients had this plant not found us. It’s hard to believe that because my little girl got sick, all of this has come to fruition. I am convinced now more than ever that this wasn’t just my purpose, it’s why God gave me breath in the first place.